For the 11th consecutive year, The 3916 Nets will be staging The Santa Net on 3.916 MHz. 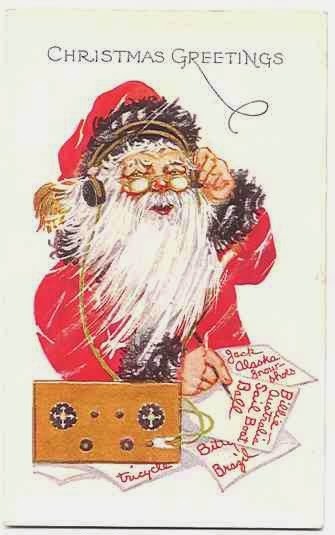 Good girls and boys will be able to talk to Santa Claus, via amateur radio, nightly at 7:30 PM (Central) starting November 25, 2016. The Santa Net will run nightly at 7:30 PM Central through Christmas Eve, December 24, 2016. Youngsters can talk to "Santa at The North Pole" via strategically placed relay stations who are responsible for relaying in the voice of Santa. Thomson said that The Santa Net is a team effort that involves the efforts of a number of 3916 Net members. He said, "For over a decade, The Santa Net has connected kids from coast to coast with Santa Claus. With this amount of territory to cover, The Santa Net requires the efforts of a number or relay stations. Our relay stations do a super job and really enjoy bringing the spirit of Christmas to the amateur radio airwaves." Hamboree 2014: Branson Here We Come! The 3916 Hamboree for 2014 is scheduled for May 30-June 1, 2014. 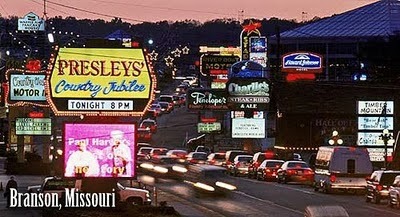 This year the event moves to Branson, Missouri. The is very excited having our event in Branson. As you know, the Branson area is home to a wide variety of family-friendly events and entertainment, not to mention world class lakes, fishing and other outdoor attractions. And based on preliminary feedback from 3916 members, many of you plan to attend and bring your family! The Hamboree is sponsored by The 3916 Nets: The Rag Chew Crew, The Tailgaters and The Freewheelers Net! See you at Hamboree 2014!! 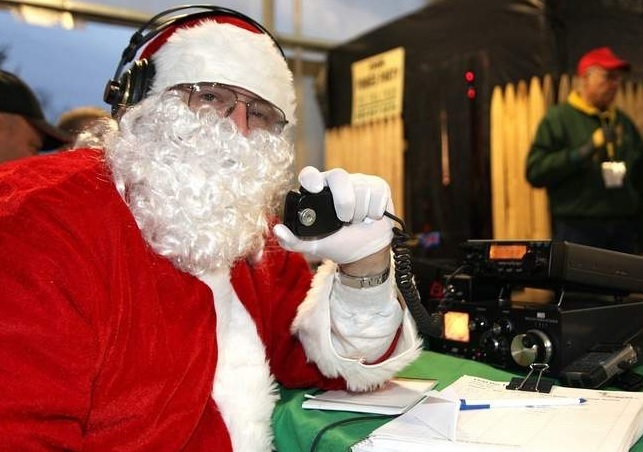 For the 8th consecutive year, the 3.916 Nets will be giving good boys and girls a chance to talk to Santa Claus via the magic of ham radio. The '3916 Santa Nets' will be held on 15 different evenings starting Friday, November 29 through Christmas Eve, December 24th. The Santa Nets are open to all licensed amateur radio operators who wish to invite kids to their shack to talk to Santa. Third party rules will apply. Pete Thomson (KE5GGY), commented on The 3916 Santa Nets. He said, "Christmas is our favorite time of year on The 3916 Nets. Each year on the Santa Nets we are blown away by the response. 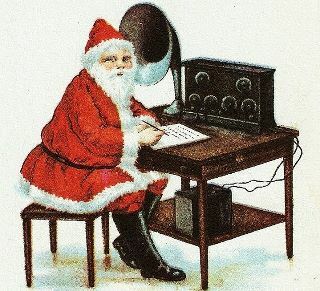 It's incredible to hear the excitement in kids' voices as they talk to Santa Claus on Ham Radio. Once again this year we'll be having 15 different Santa Nets on 3.916 MHz. This should give everyone a chance to get involved." Thomson added that The Santa Nets are a great way to let kids experience both the magic of Christmas and amateur radio. He said, "We encourage hams to get their kids, grand kids and even neighbor kids into their shacks to participate in the Santa Net. The kids love talking to Santa and we get an opportunity to show a young person how amateur radio works." (Dallas, Texas) We just confirmed that Jolly Ol' St. Nick will be appearing on The Tailgaters & The Freewheelers again this year. 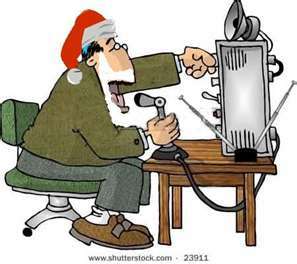 And as a result of the 3.916 Hams being extra good this year, Santa's going to be checking into 3.916 SEVERAL NIGHTS before Christmas. We'll even be talking with Santa on Christmas Eve, Monday, December 24th!! 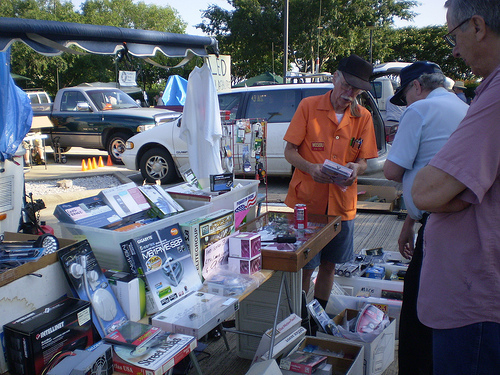 Summer is high season for ham-fests around the U.S. And over the next several weeks, two amateur radio events will happen in the Dallas-Ft. Worth area. Field Day 2011: The weekend of June 25-26, Hams from across the country gather at camp grounds, parks and other remote facilities to demonstrate portable operation skills. Thousands of ham radio clubs will be participating in the event. Field Day is an actual roll out of emergency communications. Many radio operators will be using generator, solar and battery power to simulate operation in an actual emergency. Field Day is also a contest for hams who work to compete for prizes and recognition for contacting the most stations during the weekend. Field Day is my favorite weekend of the year. My son Mac and I enjoy stopping at several radio club events throughout Dallas-Ft. Worth. It's exciting to hear the ham bands totally full of stations doing demonstrations and participating in contesting. 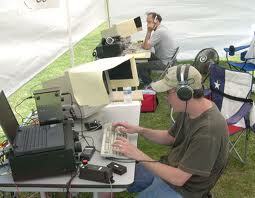 It's also an outstanding promotional event for ham radio. 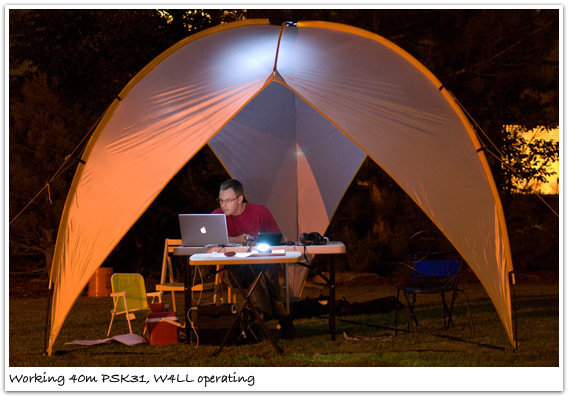 Because many Ham Clubs hold their Field Day activities in high-visibility parks, the public (and especially young people) get a chance to see ham radio in action. 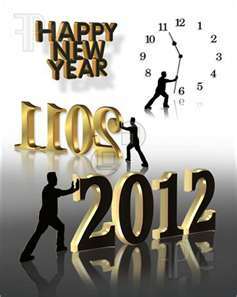 Are you up for a good laugh? 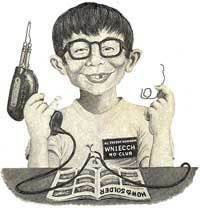 Check out this spoof of what happens when a Ham Radio Operator buys a new radio with his family's rent check.